No matter the light conditions, let your shots stand out with Chromax Metallic golf balls. These two-piece, 75 compression golf balls utilize patented Chromax technology to create the unique metallic coloring found in the outer layer, meaning you're getting a ball unlike any other on the market. A clear resin-blend cover surrounds a mirror-like inner coating to create the unusual metallic coloring on these golf balls. The outer cover is durable yet soft for efficient energy transfer and spin control, and includes a 432-dimple pattern with dimples ranging from 0.125 inches to 0.160 inches in diameter. The results are excellent aerodynamics and control around the green. Measuring in at 0.57 inches in diameter, this core uses extremely high pressure and temperature conditions to create an outstandingly strong and flexible polybutadiene rubber center that yields a high COR (coefficient of restitution). Though the ball may look larger at first glance, the core is no bigger than others; the reflective inner layer plays off the clear outer layer, and creates the illusion of a brighter and enlarged ball. The metallic color of these Chromax golf balls ensure you can easily track your shots, no matter if they land on the green or in the rough. Fewer balls lost means fewer replacement packs needed, saving you money in the end! The softest Chromax ball out there at 75 compression. This 2-piece ball has one of the largest inner cores available leading to great durability. 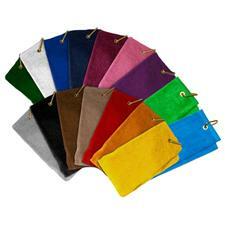 The outer core is extremely durable and flexible in cold weather. 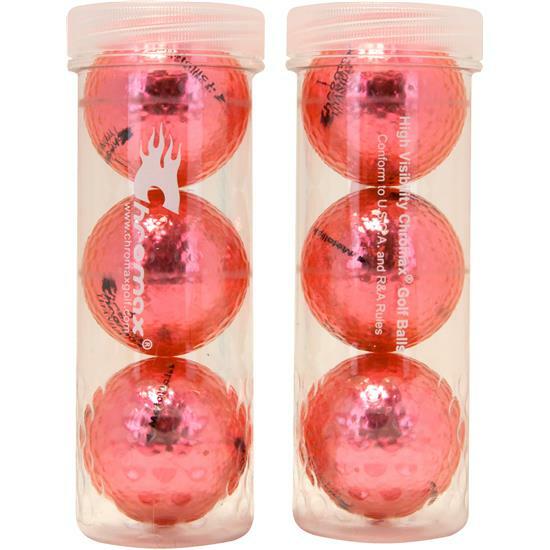 Available in 6 metallic colors, these balls offer some of the best visibility available. Great for winter and fall rounds, this ball is not just eye candy; it has great playability as well. Given I am a new golfer, I do not have a handicap, nor would I know the difference between golf balls! I ordered these as an Easter gift, for me, from me, simply because my clubs have mauve grips, my Ecco shoes are mauve suede, the golf bag is grey, white and mauve. I might not play well, but I rock the look on the course!! LOL! Ordered these for the local Chamber of Commerce golf tournament and they could not have turned our better. I had these personalized for a girlfriends birthday. She has played with them for many years and especially likes them because she always know which ball is hers! I ordered a half dozen Chromax Golf Balls as a Christmas gift for my granddaughter. I had them personalized. Due to snow on the ground and temperatures way below zero. We haven't had a chance to try them out. My granddaughter loved the personal touch and the colors. Nice and Sparkly! Thank you Golf Balls.com for such fast service and making a teenager happy! ARE THESE BALLS APPROVED BY THE USGA ??? I have never heard of this brand. What do they compare to? Chromax is a pretty popular ball. Quality wise I'd put them up with any of the big brands. While people love the colors they like the golf ball too. They feel alot like the precept. Agree on the Precept, and maybe a Noodle. I would compare them with a Nike or Titlest. Do you only get one sleeve, 3 balls, for $17.95? You receive 6 golf balls. Two sleeves. Thanks. I would like to buy 6 silver colored Chromax balls but I don't see them on your order sheet. Is it possible to order the silver balls with personalization? Thank you for the inquiry. You may personalize the golf ball just change the condition to personalized. Once you have selected this there will be three boxes that appear for you to type in your text. why are they so expensive!?! I was just going to buy a pack when I saw the price (wow) is there any chance that you will lower the price? 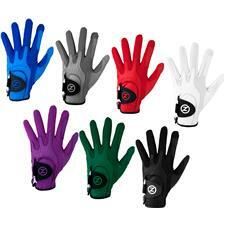 They are a dollar cheaper at Amazon.com and free shipping if your a Prime member. Hi - do you ship to Australia and do you have the mixed colours of the metalic chromax balls? Who do you recommend using these colored balls? What is the compression? I'm a 9 hdcp. male. I can't see white balls well anymore. Are your balls for me?? My company bought several doz. balls, they were kept in the store room. How long will these balls last? are they still good? its been around 8yrs. the company closed and I recieved several doz. Jerry, the shelf life of the golf balls if stored in a climate controlled area is non existent. The balls will perform to the standards they were produced at the time. If you are playing an older golf ball you may notice differences from performance of newer balls but that is due to advances in technology not because the ball is "dead". Only storing balls out doors or in non controllable climates will you notice the balls only last around 2 years in most cases. I just went on the Wilson website (7/6/2010) and Wilson says that even stored well tour typical golf ball will start to deteriorate (less bounce) after 2 years. Comparing golf balls in a controlled climate - on a shelf in a closet - to balls at a driving range is ridiculous! Range balls are hit hundreds (if not thousands) of times, run thru a cleaning machine and hit again. They are likely to be hit off of various equipment, run over by mowers, etc. The comparisaon you make is foolish! OMG!! Jake sounds like 80% of the members on GolfGWX....maybe they should just give everyone the screen name Jake0001, Jake0002 and so on and so on.... LOL!!! 5-Iron 225 yrds, REALLY!! Is the Treo manufactured any more?? Wow! I don t have as much concern about the storage of my anatomical balls as you all have for your golf balls. Perhaps that s why I can t seem to get my handicap down; or for that matter, my putter up. Is ID-Align aligned along 1) the center of balance, 2) the seam of two part cover, or 3) just a few dots on either side of initials? Golf balls stored in a controlled climate, (not outside in the elements, not stored in a 100 degree temperature,)will lose ONE YARD per year. That means, obviously, if you store your golf balls for ten years they will lose only ten yards of carry. Most of us could never tell the difference until it reaches that ten year mark. It's actually 1.35 miles per year. This was in golf digest last year I think April. The Bridgestone E6+ has a urethane cover. Check it out. The e5 has the urethane cover not the e6. What is the downside of using balls fished out of water? Can an otherwise perfect ball become water-logged? What is a moderate swingspeed? My driver speed is around 100, 95 to 104 is this moderate, slow or what? Where have you been, or did you have to see in print. Can I have a personalization done on more than one side? If I buy two Bridgestone Treo Soft and get $6.00 shipping it comes to $44. on logo overruns. I can buy new ones @ $21.95 so how am I saving? Am I able to purchase 4 dozen of balls, each with a differant personalization? Can the font size used be larger? I was disappointed it was so small the last time I ordered. 1.Why don't ball manufacturer's put the compression of the ball on the box.? 2. How many dimples designs are there on golf balls.? Thank you. Jim. I store most of mine in the bottom of the lake. When they are there for a long time, they don't hit very well anymore! Poor range balls, out in all kinds of weather, abused & they get no respect! Range balls are typically low compression in addition to being hit THOUSANDS of times. These are the two reasons distance suffers. Why Pros hit the range they use the identical balls they play with. Not typical range balls. I worked at the 5 Bethpage courses as a college student and this is how we rolled at the range. you are so right. when I was attending the Doral last year all the pros have their own golf balls in colored bags. They are not hitting range balls. yes, we do ship to APO addresses. Ping supplies complete sets of custom clubs with a name engraved golf bag to disabled vets. Come on guys- a few golf balls? For all these guys do to make sure we live free and without fear you should send them clubs and balls. Think of the promos you would get for doing what every American should do. Support our troops, they don't fight for themselves, they fight for us! I agree - golfballs.com should add a "Send Golf Gear to the Heroes" contribution box to each order form so folks can donate as a way to say thank you. Overstock.com, for example, does that with the Wounded Warrior Project. Yes, I would be happy to contribute--could you match a contribution (10% wise) and mail them? Been playing with a Pro vi for a few years till I got my swing speed checked and was recommended the Noodle and my game improved by leaps and bounds. Take care of our Military. If I knew you helped them , not only in Iraq, but in all areas, what publicity that would be. I would make all my purchases with you, just for taking care of them.